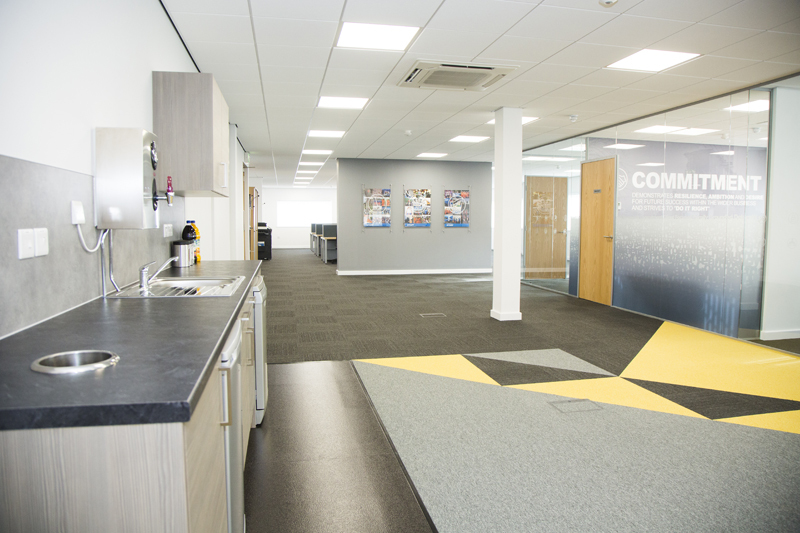 A while ago I was asked to play a part in updating the look of the Story Contracting offices. 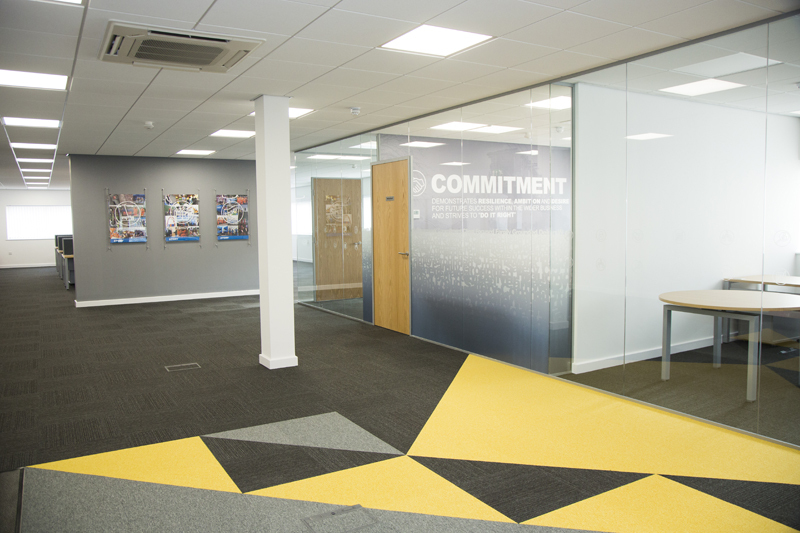 I got to work closely with their lovely marketing team to help give the walls and glass a little more personality. 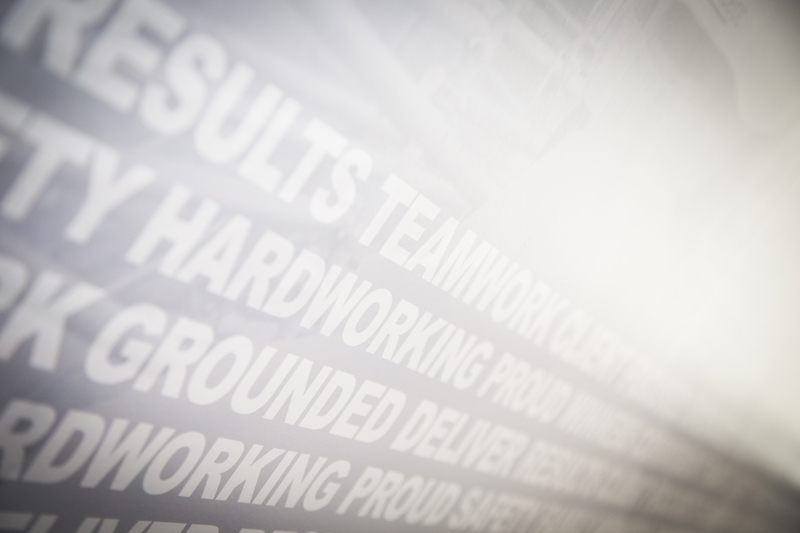 We used the branding values wth images for the many different meeting rooms, but with a word collage of the values at the bottom to help show they were part of a set. 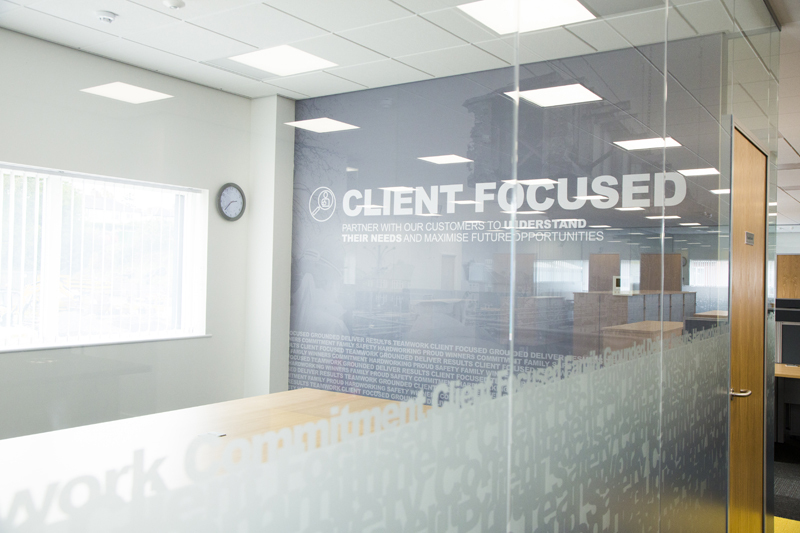 We also used a word collage on the glass to help add some privacy to the meeting rooms whilst still keeping the open plan feel.